The devastation of losing a loved one can leave you struggling to cope with the loss and immersed in medical and funeral expenses. If your loved one died due to the fault of another person or entity, call us today to discuss your legal options. Our Seattle wrongful death lawyers at Colburn Law will guide you through the process of filing a wrongful death suit. How can I recover compensation in a wrongful death lawsuit? Who can sue for the wrongful death of a loved one? 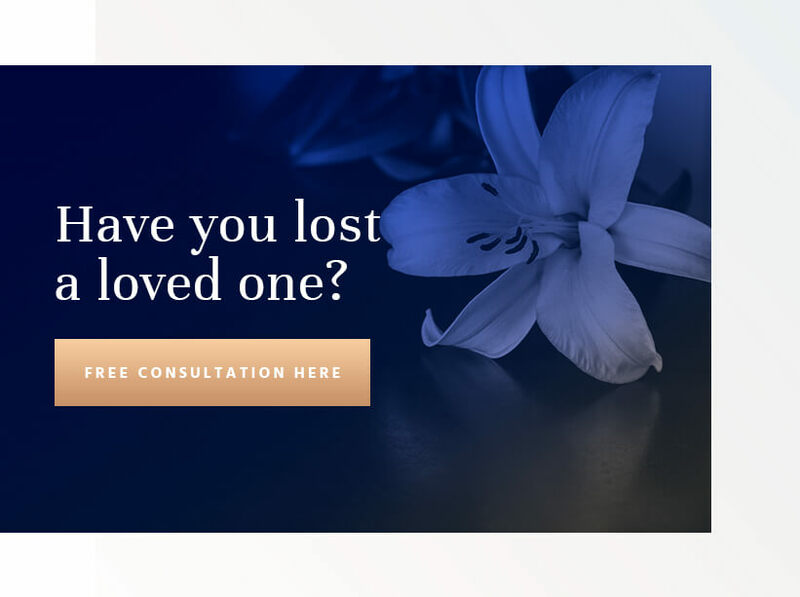 If you have lost a loved one due to the negligence or recklessness of another party, contact our wrongful death attorneys at Colburn Law in Seattle. When a person dies due to another’s legal fault (this could be an individual or a company), the surviving family members may be eligible to file a wrongful death lawsuit on their behalf. These civil suits seek to provide compensation for losses, both from an economical and emotional standpoint. While nothing can replace a loved one’s presence, these claims can be an essential stepping stone in a family’s recovery. Wrongful death is the death of a person caused by a wrongful act, negligence, or fault of another. Anyone can be at fault in wrongful deaths, including individuals, corporations, small businesses, and government entities. Determining the party or company at fault is not always simple and requires review by a skilled wrongful death attorney. A wrongful death claim may encompass any type of fatal incident, from a car wreck to complicated class-action suits involving multiple parties. Wrongful death actions are a new concept, as many states have only adapted statutes in the past century or so. For more information on car wrecks resulting in death, speak to a Seattle car accident attorney at Colburn law. Nothing can replace seeing a loved one’s smile again. But wrongful death settlements are essential for providing your family with financial security and the means to move forward. It not only provides peace of mind by paying off final expenses, but it also creates a more stable future by compensating for your loved one’s earning capacity. At Colburn Law, our Seattle wrongful death lawyers understand the decision to file a wrongful death suit can be difficult. But we also believe in holding people accountable for their actions. No one should have to needlessly pay for another person’s negligence. That’s why we offer our services on a contingency-fee basis. Our skilled wrongful death lawyers will leave no stone unturned in your case and will always work in the best interests of your family. Your road to recovery begins with a confidential, no-cost review of your legal options. To schedule your consultation, contact us today. Wrongful death suits ensure families of victims receive compensation to cover expenses from accidental injury and death. In Washington state, damages can be in the form of tangible expenses such as medical bills, burial expenses, family therapy, and lost wages. Damages can also cover intangible losses, such as emotional distress and mental anguish. If the case involves intentional wrongdoing, the victim’s family can also receive punitive damages. Wrongful death claims have two kinds of damages: economic and general. Let’s take a look at each. Economic damages compensate loved ones for expenses that are tangible. Examples might include burial expenses, money to pay for the final illness or injury, and any loss in the family’s earning capacity. General damages cover intangible losses such as emotional distress, loss or partnership, and mental anguish. In the case of intentional wrongdoing (or gross negligence), a plaintiff may also recover punitive damages. These are intended to specifically punish the defendant and discourage further wrongdoing. Family members. Spouses, children, and parents of unmarried children may sue for damages. In some specific exceptions, brothers, sisters, or grandparents may file a wrongful death action. Life partners and financial dependents. Anyone who depends on the deceased financially, including putative spouses (common law), have the right to pursue recovery. In some cases, anyone who suffers financially from the wrongful death may seek compensation to recover lost support, even if they aren’t related by blood or marriage. Each state sets its own time limits for filing a wrongful death action. In Washington, you have three years from the incident that led to the death of the victim. However, in certain situations, the statute of limitations could be as short as one year. There are also exceptions for minors, who generally have three years from their 18th birthday to file a wrongful death action. Though you may have three years, it’s in your best interest to contact a Seattle wrongful death attorney as soon as possible. The earlier an investigation can begin, the higher the chances of finding clear evidence of neglect or wrongdoing. You don’t want to run the risk of having your case thrown out because you missed a deadline. Do I Have Reason to File a Wrongful Death Lawsuit? Determining whether you can establish a case is not always easy, which is why it’s best to contact a Seattle attorney at Colburn Law with wrongful death experience. Typically, if another person or entity has acted in a negligent or reckless manner, there will be enough cause to file a med mal lawsuit for compensation. Other times, if an individual or business fails to meet a standard of care, safety in the community, or did not perform his or her due diligence to avoid injury, there could be a basis for a lawsuit. A plaintiff must prove the defendant was the cause of the victim’s death. Call Greg Colburn today for your free and confidential consultation, Colburn Law has been dedicated to helping Seattle residents get the compensation they deserve for their injuries.